A recording of the entire AGM is available here – registration is necessary. 1. At Rio Tinto’s 2017 AGM, I was impressed by the energy of the company’s self-presentation, which contrasted so markedly with the sleep-inducing delivery of former company Chief Executive Officer (CEO) Sam Walsh. Last year, we were enthralled by new Chairman Simon Thompson’s repeated embarrassed excuses for Rio Tinto’s negative impacts, which were always someone else’s fault. But this year the company was back on form: Simon Thompson smoothly denying responsibility for the appalling consequences of company decisions, CEO Jean Sebastien (“J-S”) Jacques supremely confident even when (in my opinion) he was talking balderdash, and the whole meeting conducted with extreme courtesy and affability. The overall effect was a triumphant reaffirmation of the somnolescent Sam Walsh’s policy of boring everyone into a state of near catatonia. 2. One peculiar incident at this AGM was the answer to my own question, towards the end of proceedings, about the company’s involvement in the Trinidad project in northern Chile. Before explaining the indigenous opposition to plans for mining that could have a devastating effect on the ecosystems of the arid area, I thought it wise to confirm that the company was indeed involved in the project, because there was some doubt. The Chairman said it was not, so I thanked him and said it would therefore make no sense to ask further questions about it. 3. The Chairman’s answer appears to have been correct in a literal way; but it turns out that the company was indeed involved up to a few months ago. So the meeting was misled. 4. Immediately after the end of the AGM, a Rio Tinto official came up to me and said that in fact the company had been involved in the Trinidad project and asked if I would like to talk to her boss, Stephen McIntosh, Group Executive for Growth and Innovation, which includes exploration. I said yes. He told me that Rio Tinto had indeed been involved with exploration in the Trinidad area but had pulled out of it in, he thought, December. He asked what my concerns were. I said that local indigenous communities were angry at the lack of consultation with them according to Chilean law, let alone respect for Free Prior Informed Consent (FPIC) under the UN Declaration on the Rights of Indigenous Peoples; that they were worried about the impacts of construction of mining infrastructure on biodiversity; and especially about water use in an arid area. I said that a group of indigenous people had travelled to the site in December last year to protest, that this had been reported in the press on 5 December, and that there had been a more recent protest in one of the local towns on 23 March this year. 5. He said he knew nothing of protests against Rio Tinto and thought that they may have been directed against one of the other companies exploring in the area. He said that a number of companies were exploring but that because Rio Tinto had the most well-known name it could be that people assumed that work being done by others was being done by Rio Tinto. He said that Rio Tinto would not go ahead with a project without proper consultation with indigenous people as the company takes FPIC very seriously. He said that a project in Peru has been held up for three years because a community which had originally given its consent had had a change of leadership and had withdrawn consent. Rio Tinto still hopes for a change of heart in that instance but will not go ahead unless the indigenous community gives its approval. 6. Chairman Simon Thompson then spotted me hanging about and asked if I was waiting for him. I said I had not been but that I had just learnt that his answer to my question had not told the whole story. He apologised and said that his CEO had been indicating to him that Rio Tinto was not involved. I find it difficult to believe that the CEO did not know what had been going on in Chile. (If he did not, he surely should have done). There are ways in which truth can be concealed by the way truth is told. I wonder how much else Rio Tinto managed to conceal during the course of the AGM. 7. The meeting began exactly at 11am. Company Chairman Simon Thompson said that safety is Rio Tinto’s top priority. The company’s purpose, he said, is to produce “materials essential for human progress”; and to do so efficiently, creating long-term value for shareholders while safeguarding the environment. [The company loves talking about human progress. It never defines it. Progress towards what? And at what cost?] He said that Rio Tinto now has no fossil fuel production within its portfolio. It is “required to work in remote beautiful land often owned by indigenous people,” he said. [I am not sure who ‘requires’ it to work there: almost certainly not the indigenous people whose land it has entered.] He said that it cannot deliver benefits for shareholders unless it brings benefits to other stakeholders. This year the company had taken stock of how it contributes to the UN Sustainable Development goals. Sustainability considerations are now incorporated into all decisions, along with the safety and well-being of workers, suppliers and local communities. 8. Three colleagues had lost their lives at work during the past year, he said, so the company must redouble its efforts on worker safety. The company’s business in Australia in 2018 was certified for its work on eliminating domestic violence among its workforce and their communities. 9. Rio Tinto paid 6.6 billion US dollars in taxes and royalties to governments around world in 2018, over a billion more than in 2017. Over the past five years Rio Tinto has contributed over 200 billion dollars to the communities and countries where it operates. The company creates jobs and livelihoods, funds schools and hospitals. 10. The Board had held two environmental investor seminars in London and Sydney and held civil society round-tables in Melbourne and Washington. Climate change is the biggest long term threat to the company’s business, he said. The company had recently published its first climate report, which outlines its approach to climate change. It now has a clear understanding of the greenhouse gas emissions and climate resilience of its major assets and infrastructure. It supports the Paris agreement. Achieving the goal of an under two degree temperature rise will require governments and companies to address the challenges more urgently. Rio Tinto will tackle this and replace existing targets when they expire in 2020. Its products play an important role in the transition to a low carbon economy – aluminium for light weight transport and copper for renewable electricity generation. 12. Chief Executive Officer Jean-Sebastien “J-S” Jacques expressed sorrow at the loss of life of the three Rio Tinto workers who had died at work during the year. He also expressed sorrow at the loss of life at iron ore rival Vale’s operations in Brumadinho in Minas Gerais, Brazil. He said that the Board’s thoughts were with the families and that Rio Tinto will play its part in improving industry standards, working with the ICMM (International Council on Mining and Metals). Any solution must be technically sound. Rio Tinto continues to review all its controls and systems to ensure they are as strong as they can be. 13. Then he went on to speak about all the money they have made and to talk up the driverless trains they are introducing at iron ore operations in Australia – which will surely cost jobs and which have been giving grief to Rio Tinto’s massive Anglo-Australian rival BHP recently. He said the company is on track to complete the Environmental Impact Study for its Resolution Copper project in Arizona, USA, in 2020. 14. The materials that Rio Tinto produces, he said, will play a vital role in the necessary transition to a low carbon economy. [He did not mention the recent UNEP study mentioned above]. Wind, solar and batteries all require the minerals which Rio Tinto produces. The company is well placed to produce ‘green’ materials for the future, he said. It is developing greenhouse gas free smelting for aluminium, supported by the governments of Canada and Quebec. Cars, trucks and trains will soon drive themselves and data will be more important than materials. ‘Rio Tinto 4.0’ is a new initiative which will enable the company to be part of this new development. The company is investing in communities. Automation keeps its people safer. It has launched a partnership with the government of Western Australia to deliver the first nationally recognised courses in automation to prepare workers for the workplaces of the future. So that’s all good, then. Who owns the company and who is getting its money? 15. Robert Muriel of the UK Shareholders Association said that page 294-5 of the company’s Annual Report showed the shareholdings of major investors. Australian-listed Rio Tinto Ltd is 50% in the hands of twenty companies and London-listed Rio Tinto plc is 39% in the hands of twenty companies. He aid he was worried that in the case of Rio Tinto Ltd one shareholder has over 30%. 17. He said he was intrigued to hear J-S Jacques speaking of a link with aluminium company Alcoa. He asked what would be the consequences for two major companies normally competing with each other, Rio Tinto-owned Alcan and Alcoa. He also said that Rio Tinto was putting money into Mongolia without getting anything out of it. Finally, noting that Rio Tinto had withdrawn from coal, he asked whether the company would also withdraw from uranium. 18. Simon Thompson said that the case of Mozambique had been discussed at the AGM last year and settled with the FCA. The FCA had said that Rio Tinto should have impaired its assets in coal in Mozambique six months earlier than it did, but that there was no evidence of systemic failure at Rio Tinto and none of fraud. The fine was large because Rio Tinto is a large company. The US SEC and the Australian authorities are pursuing more serious claims against Rio Tinto’s former CEO and former CFO, claiming that they had withheld information from the Board and the authorities, and they are vigorously defending this. The officers are covered by standard insurance which will cover their legal fees. Both departed the company for reasons unrelated to these allegations about accounting practice in relation to Mozambique. 20. Paul Robson, of London Mining Network, said: “I have studied the impacts of the catastrophic failure two mine tailings dams belonging to Vale in the last four years in Minas Gerais (Brazil). The collapse of a mine tailings dam can have a catastrophic effect due to the force with which mining waste escapes from a burst dam. It is unclear whether the effects of the collapse of the two tailings dams in Brazil are fully remediable. It should be remembered that there is a very strong trend for tailings dam to get larger and the effects of future dam failures will get exponentially larger. 21. “Mr Jacques, in his introduction, said that the collapse of the two tailings dams concerned the whole industry and that Rio Tinto are working through ICMM to find a way forward. Tailings dams are an area of poorly quantified risk for the mining industry and this should be a concern for all investors. The two dams that collapsed had been previously classified as stable. There would appear to be a lack of an adequate independent system of due diligence and risk analysis for tailings dams, or whether mining companies have programmes for risk elimination in currently used dams and decommissioning of abandoned dams. 23. Simon Thompson said that the recent events in Brazil had been “truly awful”. He said that this was a problem for the industry as a whole and expressed sympathy with those affected. Rio Tinto had always taken management of tailings very seriously, he said, and had three lines of defence regarding dams, whether in use or closed. The primary responsibility is with site management, the second an internal audit conducted by experts to ensure operations are in conformity with company standards, and the third an inspection of tailings dams by independent consultants at least every two years. 24. J-S Jacques said that Rio Tinto takes this matter very seriously. It had put in place its first standard in 2015 and had one global standard for all its operations. The standard is as good as or better than any local regulations which the company has to comply with, and the company applies the same standards to decommissioning. It had had that standard before the Samarco disaster but reviewed standards after it and will continue to review them. Any incident anywhere in the industry will be used to ensure that standards are as good as they can be. Regarding transparency, Rio Tinto is the only mining company which had put its standards on the internet together with the procedures it is using. Anyone who wants to challenge the company is more than welcome, but it will share all it has with the rest of the industry. It had disclosed a list of all its tailings and storage facilities. It will play a very active role in the work of the ICMM on this and has sent some of its best people to participate in it. It would also review this topic at Board level frequently. 25. 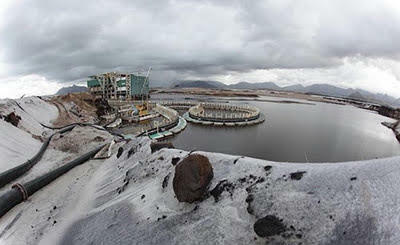 Simon Thompson said that the Rio Tinto seminars in London and Sydney last year had included risk management of tailings facilities well ahead of the Brumadinho disaster. J-S Jacques said that the company had ten billion dollars’ worth of liability on its balance sheet and that this would help cover tailings dam issues. 26. Yvonne Orengo from Andrew Lees Trust (ALT UK) spoke about the QMM mine in Madagascar. She explained that the Trust had been in a two-year engagement process with the company regarding questions arising from the QMM breach of the environmental buffer zone where local people fish and gather drinking water, and which had been raised at the 2017 Rio Tinto AGM. It had been a protracted and intense process and she expressed her organisation’s thanks for Rio Tinto’s sharing of data and information; she also thanked J-S Jacques, and particularly Peter Harvey and Simone Niven, who liaised from Rio Tinto’s side. 27. ALT UK had been able to deliver two independent studies, one on the buffer zone breach and another on related radioactivity levels of the mine. 28. She went on to say that after two years, she welcomed the company’s admission, finally, that QMM had breached the buffer zone and also that the mine tailings were used to build the mine’s ‘berm’ and have therefore entered the lake, together with their radionuclide content. Although pleased that, following ALT UK’s independent studies, the company has made commitments to review the QMM berm design, and also to undertake an additional radioactivity investigation based on the ALT UK expert’s recommendations, the organization was very disappointed about some of the outcomes. 29. In particular, disappointed that the breach is considered “negligible”, when in fact it violates agreements with the Madagascar state, breaks national laws regarding the public domain (e.g. entering a water body), and ignores the risk of radionuclides from QMM’s mine tailings entering the lake. 1) Why would Rio Tinto not adopt the ALT UK expert’s recommendations and WHO drinking water guidelines, and take this opportunity to provide safe drinking water into mine affected communities around the QMM site who are living on less than two dollars a day and having to take their drinking water from surface water and nearby lakes? 2) Would Rio Tinto commit to translate the 68 page independent radioactivity review submitted by ALT UK, so that QMM local staff and local government partners in Madagascar, who are charged with following up on the recommendations, can understand the information that it contains in order to do their job? She explained that Rio Tinto had repeatedly refused to agree to do this. ALT UK is a small NGO which works with very little resource and largely volunteer input, so does not have the resource to do the translation. She was sure that given the high levels of Rio Tinto profits, shareholders would not begrudge a small outlay to ensure this necessary transparency at local level. 3) Would Rio Tinto also commit to provide a budget to ensure a professional and independently led communications and education campaign to ensure transparency of the radioactivity review findings with the local communities, so they can understand what’s happening in their environment; and also enable them to help Rio Tinto/QMM monitor the quality of the water for the long term? That will build local capacity and also meets Sustainable Development Goals, that Rio Tinto espouses, together with safe drinking water. 31. The Chair assured ALT UK and the shareholders that the uranium levels in water next to the QMM mine were naturally elevated. He went on to offer a detailed explanation of how the mine operated, the use of the dredge pond, and the construction of the berm using “mounds of sand” for the purpose of ensuring there is no spillage from the mining pond into the natural environment. He claimed that Rio Tinto had been monitoring the mine since the operations began and had not found radioactivity elevated above the background levels that exist; and all the studies showed there was low risk to public health. He referred to the incursion of the buffer zone breach as a “mistake”. He said they had reported it to the Malagasy regulator, and it was they who determined the impact was “negligible”. But he recognized it was a mistake and had caused the company to review and reconstruct the berm along the mine. 32. J-S Jacques acknowledged that radioactivity is there naturally. He reinforced that as they do not add anything to the extraction process except water, there is no radioactivity due to the QMM mine per se. He takes the conclusions of the report on board and Rio Tinto/QMM will do more monitoring; it will also share the report with the government and partners, and he was sure that would be in French. He said they had been busy preparing for the AGM and needed some time, but they would sort out the communication side of this. 33.Neither the chair nor the CEO answered the question about safe drinking water provision, or the commitment to a budget for a full communications programme – but this was raised again later. 34. Stephen Barrie, of the Church of England Pensions Board, asked about tailings dams. He said that, following the Brumadinho disaster, the Pensions Board welcomed the additional disclosure from Rio Tinto in February on each of its tailings dams and welcomed the support given to the ICMM on consequences-based management. He said that 96 investors with over 10.3 trillion dollars of assets had written to every single mining company, asking them to publish information on their tailings footprint. He asked whether the Rio Tinto Board would respond positively and make further information available. 35. Simon Thompson said that he had seen the Church of England press release on this matter but had not received their letter yet. As soon as the company received it, the Board would look at it carefully and respond in a positive way. 36. Monica Redman, of the UK Shareholders’ Association, asked about expansion in the KwaZulu Natal mineral sands. What would Rio Tinto do about drinking water, so that nobody else would have to get up and complain about it? 37. Simon Thompson said that the Zulti South expansion would not use water ponds: the sand would simply be dug. There were people living on site and they had been relocated and compensated. There are no implications for drinking water. It is directly on a beach area. Bold Baatar, Chief Executive of Energy and Minerals, would be able to speak to Monica further after the AGM. 38. Another UK Shareholder Association member complained that a “vast amount of money” was being paid as dividends but no request had been made to shareholders to approve this. Why not? Group Company Steve Allen explained that there was no requirement in law for shareholders to approve the dividend. 39. Helen Wildsmith, of CCLA investors, asked about climate stewardship, on behalf of the European team of the Climate Action investors’ initiative. They were asking over 150 important greenhouse gas emitters to improve disclosure and alignment with the Paris agreement. She said that they welcomed Rio Tinto’s report and its work on aluminium. New metrics and targets would be needed for the 2020s, and they would like to hear in more detail how that work is going, especially scope 3 emissions involving steel, and how the company envisaged new metrics and targets being linked to remuneration. 40. Simon Thompson explained that scope 1 emissions are emissions which the company produces itself, scope 2 arise from power that it purchases from third parties and scope 3 are emissions of customers using its products. A resolution for the Australian AGM asks Rio Tinto to set targets for scope 3 emissions. Most of these, he said, relate to steel makers, overwhelmingly in China, using Rio Tinto’s iron ore to make steel. Steel is a material essential to human progress, he said. Other sources of energy could be used to substitute for coal, but there was no obvious substitute for steel for a large number of uses in the economy. In the UK, there were ten tonnes of installed steel per capita, in China six tonnes, in India one tonne. India will require primary steel production as there is no economically viable alternative to steel. How to decarbonise this supply chain? Iron ore is an essential component of steel but it is metallurgical coal which creates the vast majority of greenhouse gas emissions. There are technical means to take carbon out of the process, using hydrogen as a reductant instead of coal, or carbon capture and storage can be used for coal, but Rio Tinto has no control over the speed of adoption of such technology. The company will produce scenarios for how it thinks the whole supply chain can be decarbonised, but it cannot set targets for our customers beyond our control. 41. J-S Jacques added that the company’s long-term vision is that as much carbon as possible is removed from its system. Rio Tinto can be part of the solution. It provides aluminium and if this comes from Canada it is smelted using new low-carbon technology. It provides copper for low carbon technology. From the operational standpoint it is pulling all the levers it can pull. It is changing to renewable energy where it can. It is working on using electric vehicles, though at present this technology does not exist at scale. It is using new technology, e.g. on anodes for aluminium smelting. It offsets with carbon credits. It needs to understand the economy of all this to set targets for the 2020s. 42. Simon Thompson said that the company had first to adopt new targets, then think about how to incorporate them into its incentive plan. One part of the incentive plan is safety, another is financial performance and the third is personal objectives. The Board may think how to incorporate greenhouse gas reductions into personal objectives. It will probably not put it into the long-term plan because in 2017 it asked shareholders about changes to incentives and the proposal was well received in London but not in Australia; but it may propose changes in due course. 43. Richard Harkinson, of London Mining Network, noted that the Church of England had expressed concern about tailings dams and that the CEO had mentioned a figure of ten billion dollars that would deal with all risks. The company had published a list of 50 tailings dams on its website, and 25 of these were in Brazil in co-mined bauxite developments. The majority are upstream dams or single embankments which could become upstream dams. After the Brumadinho disaster, and with regard to potential legislation and litigation, ten billion dollars may be an underestimate for liability. 44. Richard then said that he had been asked by NGOs in Ulaanbaatar in Mongolia to ask questions about the Oyu Tolgoi project. He said that Rio Tinto had announced ground conditions making it inadvisable to move forward with deep mining at Oyu Tolgoi. What is being said is that the strength of the rock is more variable than anticipated. Stable conditions would mean that there would be lower risk. Unstable conditions add to risk and cost because of the need for vaulting etc. Richard said he assumed that the company had learnt from the 2014 tragedy at Grasberg when 34 miners died because of the collapse of a block cave. People in Ulaanbaatar want to hear specific details of the conditions that Rio Tinto has encountered because they want to know the cost implications for the government. Their second question concerns the World Bank complaint mechanism. This is not moving forward satisfactorily. Complainants would like Rio Tinto to provide technical details on hydrogeological conditions. 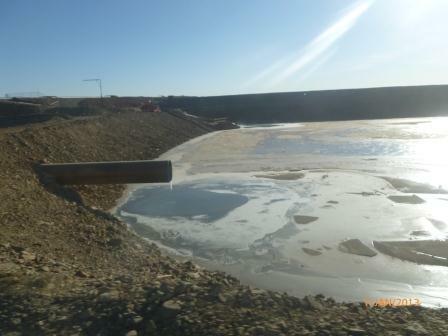 The tailings dam at Oyu Tolgoi is currently an upstream dam. There is seepage and a problem with selenium levels. This is mentioned in the independent audit report so it is strange that Rio Tinto says it cannot monitor it effectively. 45. J-S Jacques said that the company had 100 tailings facilities in operation and only eight are managed by others than Rio Tinto, including those in Brazil, so the numbers Richard had mentioned were not correct, he said. A review had been conducted by the authorities a few weeks ago on the basis of different safety factors following the tragedy in Brazil. MRN operations had been assessed as safe. The company would like all their operations, managed and unmanaged, to keep Rio Tinto standards, which are better than any local regulations. He said that there is a big difference if you build a tailings facility in a valley with a lot of rain compared to where it is flat and dry as in Mongolia. In some parts of the world, upstream construction for a tailings facility is safe, and the standards which Rio Tinto applies in Mongolia comply with its global standards. Regarding the herders, it was correct that there was a long-lasting dispute managed by the IFC [International Finance Corporation, the private finance arm of the World Bank] and in November of 2018 the dispute was closed. 129 herders were affected by Oyu Tolgoi and Rio Tinto has been through a long process including monitoring by the IFC, and the process is now closed. Rio Tinto “will continue to make sure that the herders are okay”, but the IFC dispute is now closed. 46. Regarding ground conditions at Oyu Tolgoi, he said, there is a need to split infrastructure from shaft pressures, block caving and ramp-up. Oyu Tolgoi needed five years to build infrastructure and seven years to ramp it up. As and when mining begins, the company would develop a better understanding of geotechnical conditions. But the ore body will cave, and potentially faster than the company expected. The company would have to rethink where to put tunnels and extraction drives so that when block caving began it would not destroy the infrastructure. The process must be managed very carefully. At Grasberg, Freeport had to go through this process three times so that they had sufficient understanding of geotechnical issues. In an open pit, when you build the pit you can move roads if necessary, but if you build tunnels for block caving you cannot move them. 47. Councillor Paul Doughty, of the Local Authority Pension Fund Forum, said that he represented an association of 80 local authority pension funds and six pools with 230 billion pounds under management. Most funds hold stocks in Rio Tinto, totalling 2% of Rio Tinto’s shares. He welcomed Rio Tinto founding partnerships with others. He asked if the company could provide an update on its membership of the Minerals Council of Australia and global climate advocacy. Would it go further by changing its risk assessment procedures by focusing on environmental and social risk before business risk? The latter is reliant on the former. He said that this comes particularly from concerns about Resolution Copper in Arizona, QMM in Madagascar, and climate risk. 48. Simon Thompson said that the partnership with Alcoa and Apple was a great example of industry partnerships seeking to decarbonise the value chain, and the fact that this involves a customer is significant as they are demanding a lower carbon impact. The Minerals Council of Australia (MCA) represents all manner of mineral companies in Australia and has been controversial because a related organisation called Coal 21 has been lobbying for coal, because they produce it. Rio Tinto always advocates in line with its policy statement on climate change and, in those industry associations where it has significant influence, it will use it to get industry associations to lobby for the Paris agreement and use a technologically neutral approach to energy generation. There are a number of industry associations around the world where Rio Tinto’s influence is limited, and although this will not stop it saying what it thinks, it cannot necessarily change their positions. The MCA has changed its position and Rio Tinto is pleased with what the MCA is doing on climate change. It is already the case that Rio Tinto evaluates the social risks of its projects. In evaluating risks to new projects, the company spends at least as much time thinking about environmental and social risks as business risks, as you cannot separate one from the other. The impact of its operations it will vary according to circumstances. 49. Christina Montorio, of the International Brotherhood of Teamsters Port Division, said: “I am here as a part of the International Brotherhood of Teamsters and on behalf of our General President James P. Hoffa and our Port Division Director Fred Potter we are here to urge Rio Tinto to enforce its Supplier Code of Conduct. Rio Tinto is a company that upholds high standards when it comes to workers’ rights. And the company should hold its trucking company NFI / Cal Cartage Express to the same standard. 50. “NFI Industries, specifically its subsidiary California Cartage Express division, which hauls borax from the Rio Tinto Boron Mine to the Port of Los Angeles, has a demonstrable track record of violating Rio Tinto’s Code of Conduct. The hard-working truck drivers who haul this heavy cargo 150 miles from Boron to the harbour have experienced rampant wage theft due to unlawful misclassification by their employer, NFI Industries/Cal Cartage Express as independent contractors rather than employees. We are here with drivers today urging Rio Tinto to enforce its Supplier Code of Conduct and commit to doing business only with trucking companies that align with Rio Tinto’s values. 52. Gustavo Villa said: “I’m a port truck driver at Cal Cartage Express in California. We’re here before Rio Tinto’s Board of Directors and shareholders to bring light to the worker exploitation taking place in the company’s supply chain and why we believe that Rio Tinto must take swift action against this exploitation. 53. “Although my employer is Cal Cartage Express, our business here today is with Rio Tinto. We are the drivers going every day back and forth from the Port of Los Angeles to the Mojave Desert. We are the drivers that ensure Rio Tinto’s borax makes it to the port on time. We are the workforce behind the company’s success and we’re here to tell you that the injustice needs to stop. Our daily experiences at Cal Cartage Express completely go against the Rio Tinto Supplier Code of Conduct. The Code of conduct says that it will not tolerate labour or human rights abuses in your supply chain. I hate to be the bearer of bad news but labour and human rights violations are abundant at Cal Cartage Express. 54. “We’ve faced abuse at the hands of Cal Cartage Express for far too long. We are misclassified truck drivers – misclassified employees without the basic workplace protections like worker’s compensation, paid leave and unemployment insurance. That misclassification makes it far too easy for Cal Cartage to mistreat us and they take advantage of that. 55. “This is a company that is extremely anti-worker and anti-union. This is a company that uses intimidation and scare tactics to prey on workers who dare speak up about the problems we endure every day. Ever since I started at Cal Cartage Express, I’ve been very vocal about the unfairness of our employer and the need for us drivers to band together and form a union. I’ve experienced this intimidation first hand, but I will not remain silent. That fact alone should disqualify Cal Cartage Express from operating in your supply chain based on your operating standards, but it’s not the case. The intimidation and exploitation continue. 56. “We face long wait times either at the port or over at the mine. Many of these hours are unpaid even though we are working all those hours. Our wages are so low, we can’t keep up with rising cost of living, let alone any of the other financial obligations placed on us in this job. Despite our status as “independent contractors”, we’re not free to work for ourselves elsewhere. We’re at the mercy of Cal Cartage Express, with no protections, and it’s a true injustice. These occurrences are common for us and fly in the face of what Rio Tinto says doing business should look like. 58. Jesus Maldonado added: “I’ve been a port truck driver at Cal Cartage Express in Southern California for ten years. I’m here before you today because Rio Tinto has a major mess in the supply chain and its way past time to clean it up. 59. “My employer, Cal Cartage Express, has been exploiting me for all ten of the years I’ve worked there. I’m misclassified as an ‘independent contractor’ but my day to day experiences say otherwise. Cal Cartage tells me where to go and when. I am not able to work elsewhere on my own. How does that make me ‘independent’? It doesn’t – it makes me a misclassified employee. 62. “Repair costs can pile up quickly, all the while Cal Cartage Express is still tallying up the deductions I mentioned earlier. This is a huge burden for us. In order to cover repair costs, I’ve had to take out loans, max out credit cards and reach out to others for help. I’ve fallen into a financial sinkhole with no end in sight. I have no health insurance, no pension or retirement, no safety net. I worry more and more that I will not be able to retire. This is difficult work and not one that should be met with so much abuse and injustice. 63. “We’re not asking for a lot. We’re not asking to strike it rich. We’re only asking for what’s fair. We’re asking for a living wage, to be properly classified as employees. We want dignity and respect on the job. I’ve travelled a long way to speak to you all and I hope that by sharing my struggles the Board of Directors will open its eyes and see that injustice happening in Rio Tinto’s supply chain every day. Rio Tinto is not my employer, but you have the power to step in and stop this abuse. 64. “We ask Rio Tinto to practice what you preach. The supplier code of conduct says there is no room for labour or human rights violations. That means that there should be no room for business with Cal Cartage Express. We’ve reached out and attempted to raise our concerns with management a few times before and nothing has changed. 67. Simon Thompson replied that Rio Tinto does have a clear supplier code of conduct and takes any breach seriously. The Teamsters’ delegation had met with his colleagues the day before to explain the situation. The Board was aware of some of the allegations and had already written to the contractor asking it to demonstrate that it was in compliance with Rio Tinto’s code of conduct, and Rio Tinto would keep the Teamsters informed of discussions with Calcart. Rio Tinto has in the past terminated contracts when necessary. 68. Andy Whitmore, of London Mining Network, pointed out that the Chairman had not answered Yvonne Orengo’s question about safe drinking water for communities around its QMM operations in Madagascar. 70. Simon Thompson said, “The answer is Yes.” The mine would cease operations in 2021 and the company was obliged to close it by 2026. Rio Tinto “remains committed to ensuring that ERA has the financial resources to deliver on the undertaking.” The mechanism for doing so is under discussion with ERA. 71. Regarding safe drinking water in Madagascar, Simon Thompson reinforced that baseline data provided the basis for their statement that the uranium in local water was a natural occurrence and had been there since before QMM started the mine. 72. Yvonne Orengo interjected to challenge this assertion, saying that no data had been produced to differentiate what was natural background and what was caused by QMM; if there were additional data, then Rio Tinto was expected to share that for the study. She went on to explain that whatever the source, the water toxicity must be managed; she used the example shared by ALT UK’s radioactivity expert: that if these levels showed up in Canada, where there are also high background levels, it would still have to be managed. Yvonne asked whether the company thought people in Canada were more important than people in Madagascar, and whether villagers were regarded as collateral damage in the face of ‘progress’ (this was a reference to the company’s introductory presentation which focused on ‘progress’ as Rio Tinto’s contribution to the world). 73. The Chair assured her that people in Madagascar were important. He went on to explain he had been to Ft Dauphin (capital of Anosy, where the mine is situated) to see the QMM mine, and how impressed he had been about how much QMM had contributed to the growth and development of the town and the improvement in local people’s lives. 75. Roger Featherstone, Director of the Arizona Mining Reform Coalition in Tucson, Arizona, said: “I’d like to start by thanking Mr Jacques for taking the time to meet with me yesterday. I have a question about your Resolution Copper project for you and the Board beyond what we discussed yesterday. 76. “The Resolution Copper proposal is for a large block cave copper mine in Arizona that would destroy a sacred ecological and recreational haven called Oak Flat and bury another 5,000 acres of public land under a mountain of tailings. We’ve been squaring off over this proposal for 15 years now, and as time goes on, more problems arise than are resolved. Given current problems with failed tailings dams in Brazil and Canada, with the severe water supply shortage Arizona faces, and many other problems, it is clear to my members that this project is not viable. It’s time for you to abandon this project. To do so would be a win-win solution for you, your shareholders, and for Arizona. No one should be forced to choose between water for communities and the environment, water for agriculture to grow the food we need, or for your proposed mine. It is time for you to abandon the project. 78. J-S Jacques replied that US regulations on tailings differ from the rest of the world but that Rio Tinto’s standards apply to all its operations globally, so there is no difference in the company’s approach in Canada, the US, Mongolia or elsewhere: the standard is as good as or better than local regulations. When the company gets to the position of a decision on investment, it would be on the basis of its global standard and not local regulations. He said that the permitting process co-ordinated by the US Forest Service is very comprehensive and covers all aspects including water. 80. Regarding the business case, he went on, the world needs copper, including in the USA, and if the Resolution project goes ahead it will provide 25% of US copper supplies. [This was disingenuous: the copper concentrate from Resolution is to be exported for processing into copper metal, so it would only be available to US users if purchased back from the countries where it is processed.] “We believe there is a case to study,” he concluded, “but we are not there yet.” Then he thanked Roger for an invitation made the day before to go hiking at Oak Flat – an invitation extended in the hope that the extraordinary beauty of the area might persuade Mr Jacques to abandon plans to devastate it utterly. 81. Shareholder John Farmer asked that the Annual Report should be shorter and more concise. He had struggled to find in the remuneration report an aggregate figure for all remuneration. 82. Simon Thompson said that the report was pithier than last year but is long because of the increased demands for disclosure and transparency and the various regulations in the UK and Australia, but the company would try to make it even pithier next year. 83. Director Sam Laidlaw said that the company had to comply with UK and Australian regulations. The company could summarise directors’ remuneration next year. 84. John Farmer then asked about safety. He said that the company showed the frequency rates of accidents for the past five years and these had kept happening. This had implication for dependents, families and friends. Two recent accidents had occurred in rich countries, Australia and Canada, and a third in South Africa. What is the company’s policy for providing generous compensation to dependents for these accidents, in addition to stopping accidents happening? One of the accidents had involved someone falling on someone else’s head. This sounded chaotic. “Should you not give more attention to this and be more generous to dependents?” he asked. 85. Simon Thompson said that the company’s top priorities are to learn lessons and provide support to dependents and colleagues, as it is traumatising to those who witness such events. “We manage this as sensitively as we can,” he said. 86. Megan Clark, of the Sustainability Committee, said that the company works hard to learn the lessons of every incident that happens. It is also looking to learn lessons from the industry in general. It focuses on controlling risks that could end up with a serious accident or fatality. “We have people on the ground who go out and verify that incidents are being prevented,” she said. In 2019 they would ensure that critical risk management is part of how the company works, “not just an instruction but embedded in all processes; also how we mature and reward safety processes.” The company would be “focusing on controls to ensure they are in place and that our standards for hazards and risk are rigidly applied across the world. There is nothing more important than the safety of our people,” she said. 87. John Farmer then pointed out that the company had returned 30.5 billion dollars to shareholders, and still had debt on its balance sheet. Might it have eliminated that debt? “What about opportunity costs, the future of the company and investment in new assets so that long-term we continue to prosper?” he asked. 88. Simon Thompson said that capital expenditure had been 5.5 billion in 2018 and would increase in 2019 to 6.5 billion, a large part being funding growth projects in Australia, Mongolia and South Africa (Richards Bay), and there is a pipeline of new projects which Rio Tinto would continue to invest in. Debt is partly structural debt: for instance, Oyu Tolgoi is financed with project financing, and this brings a number of other parties into relationship with the Mongolian government, including multilateral and bilateral agencies, which mitigates political risk. 89. 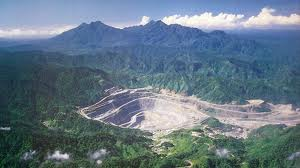 Andrew Hickman, of London Mining Network, asked about the company’s historic involvement with US company Freeport McMoRan in the Grasberg copper-gold project in West Papua. He said that he had recently spent time with West Papuan indigenous activist Mama Yosepha, who had described the Grasberg mine as “the snake devouring the land underneath them”. Tailings have been an issue for many years. Rio Tinto and Freeport had been dumping 200,000 tonnes of waste into the Ajkwa River every day for years. Rio Tinto was involved for 20 years and had now sold up and made a very large amount of money from the mine. Was it a wise decision to invest in that mine? How much money had the company set aside for the responsibilities and liabilities that it still had for that mine? How much had it put into a performance bond for the communities for the impact that the mine continues to have? There would need to be a reckoning for the real cost of that mine. Andrew would try to give Rio Tinto’s answers to the affected communities. 90. Simon Thompson said: “Would we invest in the mine today? It is impossible to go back 20 years and ask the mindset of the people who made that decision, but Rio Tinto would not now invest in mines using riverine tailings disposal. I am happy to reiterate that.” He said that Rio Tinto was never a shareholder in Grasberg but had “a strange metal-strip arrangement there”. It was “certainly not the operator”. Rio Tinto had sold its interest last year for 3.5 billion dollars, and that included the purchase of “all the liabilities of the mine”, and the purchaser was a state-owned Indonesian mining company which would be fully aware of all the issues related to Grasberg. Rio Tinto’s “future relationship with Grasberg came to an end with that purchase,” he said. The company now had just a handful of people monitoring the Kelian mine site [in Kalimantan in Indonesia] and a few monitoring the tax situation. 92. New shareholder Lucy Harrow said she had never been to a shareholders’ meeting before. She was grateful for the many points raised by other shareholders, which had helped her understand what is actually happening at Rio Tinto’s operations. She asked how many mines the Board had visited and how many of the Board had visited visited mines. 93. Simon Thompson replied that Jean-Sebastien Jacques had visited 24 mines in the past year. The Board always had at least one site visit per year. The most recent was to the ERA Ranger mine earlier in 2019. This had focused on mine closure. Simon Thompson had been to six or seven operations in the last twelve months. A visit was planned to Canada for an employee AGM in Montreal and two site visits were planned for this year, one to Kennecott in the USA and another to Gladstone in Australia. The whole Board goes. 94. It was at this point that I asked the Chairman whether Rio Tinto was involved in the Trinidad project in northern Chile – but you can read all about that at the beginning of this report. 96. Another happy shareholder and ex-employee asked what was the company’s involvement in Zimbabwe and whether it had any fears or saw any opportunities in Brexit. Simon Thompson replied that from Rio Tinto’s point of view, because it has no operations in the UK and very few people here, Brexit is “not a big part of our lives”. The company is exploring in Botswana, Zambia, Namibia and South Africa but not in Zimbabwe, he said. 97. And that was it for another year. 98. Unfortunately, we were unable to put a question about the company’s legacy in Bougainville. Had we been able to do so, we would have said the following. As it is, we will write to the company and ask. 99. “My question relates to Rio Tinto’s strategy regarding the environmental damage caused by the Panguna mine in Bougainville, Papua New Guinea. 101. “The Catholic Diocese of Bougainville is currently conducting a project to collect the accounts of people in the mine-affected communities about the impact of the mine on their lives and their living conditions today. From these accounts it becomes clear that people still suffer from the massive environmental damage caused by the Panguna mine and its associated impacts, such as forced relocation. 102. “People across Bougainville firmly believe that he who caused the damage has to address that damage. There is an expectation that BCL, and Rio Tinto as its former majority shareholder, will contribute to environmental rehabilitation. 103. “Bougainville is currently preparing for a referendum on independence – secession from Papua New Guinea – which is to be held in October this year. It is widely expected that people will vote for independence, and that after the referendum the issue of the Panguna mine, including the question of how to address the legacy of the mine, will come to the fore again.